As more and more people rely upon their smartphones for more than just their phone, it seems like the number of problems and issues we experience are on the rise. 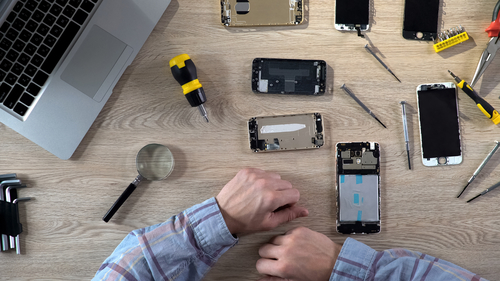 Fortunately, many of the smartphone common problems we experience can be resolved on your own without having to take your phone to a repair technician. Cracked Screens: The easiest way to prevent a cracked screen is to get a screen protector. If your screen is already cracked, you can replace the screen yourself. Just remember to check out videos on YouTube first to make sure it is something you can do. Dropping Phones in Water: Another issue is when we accidently drop our phones into water. Newer models are now water-resistant to withstand short immersions. A good case can help keep water out of the phone too. If your phone gets wet and stops working, a trick you can try is putting it into a zip-locking bag filled with dry rice. The rice will extract the moisture from the phone. Apps Run Slowly: If you have tons of apps running the background, it can eat up all the phone’s memory. Close any apps you don’t need open. Check your phones’ settings to see which apps are “active” in the background and disable any that you don’t need enabled. Unable to Install or Run Apps: If your storage is almost full, it can cause this problem. Start by checking how much storage space is available then offload or delete any apps you no longer need or use. Also remember to check your text messages as many people are surprised by how much storage space they can use up. App Lock Ups or Crashes Constantly: Check to see if there has been any recent updates to the app. When there are updates, the app won’t work correctly until you have updated it. If there isn’t a recent update, try deleting the app and reinstalling it. In addition, check how much storage space is available. If it is almost full, it can also cause this problem. Phone Crashes or Reboots Itself for No Reason: Check to see if there is an update to the phone’s operating system. If there is one, download and install it. Otherwise, you can try power-cycling the phone by powering it off and leaving it off for about five minutes. If the problem continues, check with your phone manufacturer for other things you can try. Since we cannot predict every problem each smartphone will have or how it can be fixed, it is always a good idea to remember to back up your important data to the Cloud on a regular basis. If you forget, all is not lost. It may still be possible to recover the data from your smartphone with help from Taking It Mobile and our data recovery services. 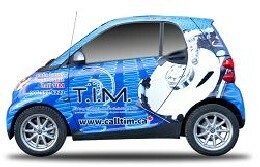 Please feel free to contact us at 888.877.5002 or 1-888-Call-TIM today!